These classic mocassin slip on loafers are made of premium leather. They are all leather, with a padded insole and rubber non-slip soles. 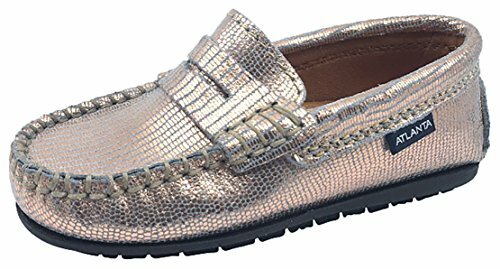 Pretty rose gold metallic printed leather with a penny loafer styling on top. Each shoe is handcrafted in Portugal.